For years DJ’s have been mixing tunes together using their musical ear and their talents for recognizing what songs will work well with other tunes. Not only does this talent relate to the timing of beats and the blending of bass, mid and treble, but it also relates to the tone or key of these tracks. In recent years with the explosion of digital DJ’ing and the birth of MP3’s, the DJ world has been treated to software that decipher the key of a track. Musically, certain keys work well with others and knowing which tracks compliment each other can make a DJ set even more pleasing to listen to. The most well-known software tool used for this is mixed in key, a program designed by And out on the market for $49. 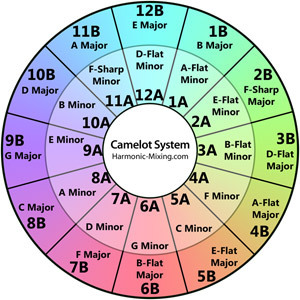 This tool analyses your tracks and labels them with a specific key, to figure out which tracks will harmonize with others you can use the Camelot Easy Mix Wheel. A new software has recently come to light however: KeyFinder. This fantastic piece of software is the result of one computer studies engineer as part of his coursework. KeyFinder is free to download, but there is an option of making a donation to the producer of this software. An option I highly recommend. 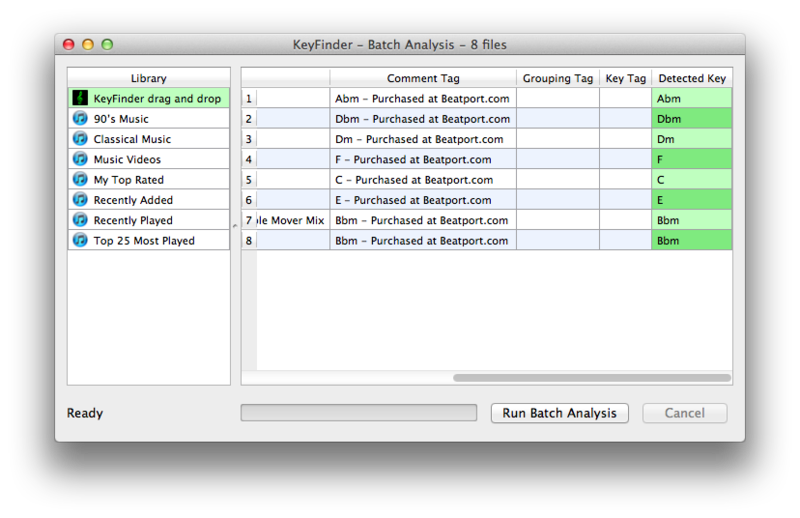 Once downloaded, you can simply drag and drop your tracks into KeyFinder and run a batch analysis. This will scan all tracks and tell you the key it finds. If you were to use KeyFinder with its default settings, the key will be written into the comment field of the ID3 Tag and will therefore appear with in the Traktor music collection in the comment field. 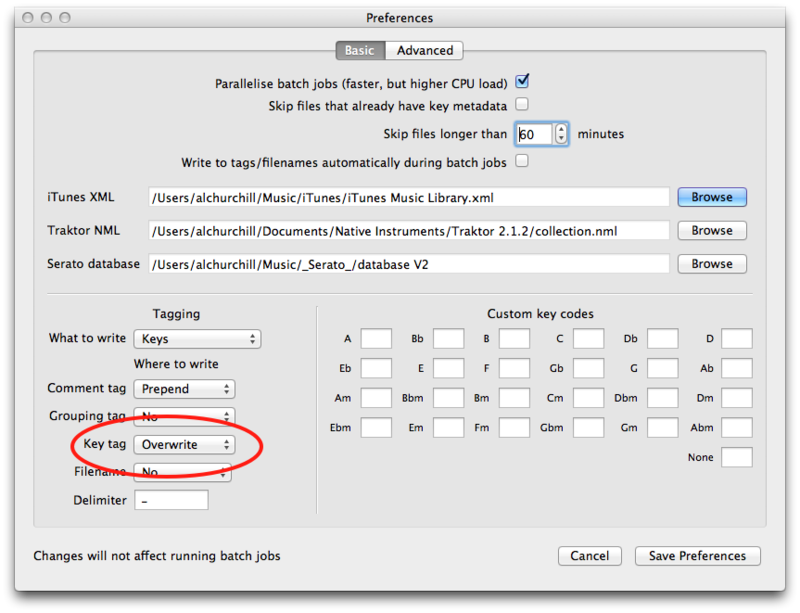 In order to make the key detection appear in the key field of the ID3 tags you must change the Key Tag settings to “Overwrite”. Once you’re all set up and your Traktor collection contains all key tags, you can get cracking with some harmonic mixing and make your DJ sets sound that little bit tighter. To find out how harmonic mixing works, you can check out the How-to Guide for Harmonic Mixing. To get hold of the software head on over to Ibrahim’s website for KeyFinder. Don’t forget the donation!! Have you used any Harmonic mixing software? What do you think of KeyFinder? Let us know if you find this software useful. hello, I always used to detect the rapid evolution two key songs. I’m trying Keyfinder seen which is freeware and what they say, more accurate than RE2, very similar to MIXINKEY. I have a question, I amount mp3s and I click on the batch below. How do i write the key in the syntax 01A – 06B – 12A etc.?? I appear only letters “emb” etc. hello, I always used to detect the rapid evolution two key songs. Stoprovando Keyfinder seen which is freeware and what they say, more accurate than RE2, very similar to MIXINKEY. I have a question, I amount mp3s and I click on the batch below. MI detects the key but not in the format that I would like to … How do i write the key in the syntax 01A – 06B – 12A etc.?? I appear only letters emb etc. I’ve used Mixed in key for some time now after I switched to Traktor. Virtual DJ has key detection build in. Last version of Rekordbox also has it build in now. Because I bought MIK I’ve never had the need to try out KeyFinder so can’t coment on it but I realy love MIK. I don’t use Harmonic mixing as a religion because some times 2 songs can go well together even if not same key or relivant key. Yes, I am the same here, usually I can tell by ear if a track mixes well with another, but sometimes, it’s nice to use as a back up, just to make sure…..